SimplyApple.com: New charger, new iPhone? If Apple chooses to change the classic and now standard 30 pin dock connector for a smaller dock connector, the obvious question is "what about my existing iPhone dock, external speaker, alarm clock, ect?" The next question is why, why would Apple do this? Let's look logically at it, it's quite large, the dock that goes into the iPhone currently is around 21mm across and about 6mm deep. It's depth has been reduced from the original iPod and iPhone cables. The reason why Apple would want to reduce the size of the dock connector is to make extra space. The same reason Apple are likely to introduce a micro sim, to replace the mini sim first introduced into the mobile fray, by Apple with the iPhone 4. Extra space for a larger screen, larger battery the introduction if an NFC module or the rumour mungers suggest a reconfiguration of microphone/headphone port. 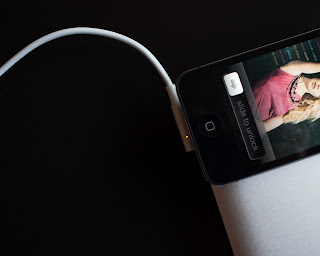 The moving of the headphone port would mean the iPhones design was more in line with the iPod touch. Whatever the reason it will give the designers more freedom and scope over their design and function. With these changes, could more improvements be made. 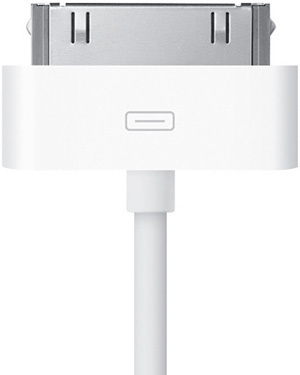 Would Apple introduce a MagSafe style charging cable. MagSafe is an Apple patented technology where the charging cable is magnetically attached, currently used for its MacBook ranges. The connector is held in place by magnets so for example if some plum trips over the cord, it will pull out of the socket safely, without damaging the connector, power socket, or pulling your MacBook off the coffee table it's residing on. MagSafe connectors also have a small led built into the cable which glows red, amber or green depending in how charged the battery is, which is kinda cool. The main benefit though would be convenience, simply snapping into place rather than plugging in like the current dock connector. It may also prevent the "I'm going to bed, must just plug in my iPhone first, why won't it plug in. Oh it's the wrong way around" scenario. Anyway whatever Apple finalise on, some sort of adapter will be necessary, the final question is will this adaptor ship with new iPhone or will it be an additional extra? Labels: 30 pin, accessory, Apple, charging cable, connector, dock, iPhone 5, Magsafe2, micro USB, new iPhone, new standard, new.